If you decide to donate to a charity, you can enjoy several business benefits. First of all, you get the satisfaction of knowing you’re supporting a worthy cause. Second, you enhance your business’s reputation in the eyes of your customers and the general public. Finally, donating to charities can mean tax benefits for small business. In order to maximize these advantages, however, you need to follow certain guidelines. Not all donations are tax deductible. Naturally, you may want to support certain causes anyway. However, when thinking about tax benefits you should be clear about which donations are eligible. The IRS has a search tool that lets you look up charities and identify the ones that you can deduct from your taxes. Whether your donation is tax deductible or not you should also make sure that it’s a legitimate charity and not a scam. One way to do this is to look up the organization’s IRS tax status. You can also search online for news and complaints. 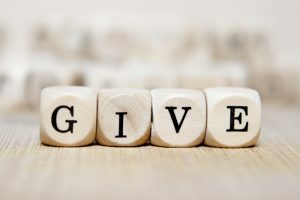 When you donate to charity, you have to decide how much you want to give, how much you can afford to give, and what kind of tax benefits you’ll get. The Small Business Administration estimates that the average small business donates 6 percent of their profits to charity. This doesn’t mean, of course, that you can’t give more. It’s important to be aware how much you can deduct from your business taxes. This is not a static figure as the IRS frequently changes its policies. Be sure to check with the IRS, your accountant or tax attorney so you know how much you can claim as a deduction. Keeping accurate and up-to-date records is a fundamental principle of bookkeeping. It’s particularly important when you’re seeking tax benefits for a small business. When you donate, always ask for a receipt. Accurate records will help you decide how much you can afford to give and it will ensure everything is complete when you hand over documents to your tax preparer. It’s also essential to keep good records in the case of an audit. Once you’ve identified an eligible charity and decide how much you want to give you can make your tax-deductible donation. Here are a few additional points to keep in mind. Your donation must be paid in full by the end of the year. The current limit that the IRS imposes on tax-deductible charitable donations is 50 percent of your gross adjusted income. Research the rules and limitations of different categories. For example, cash, volunteering and sponsorships can all be deductible, but there are qualifications. If you volunteer you can’t deduct this by estimating the value of your time, but you can deduct money you spent on expenses, such as gas or supplies. These are just a few of the guidelines to keep in mind when you donate to a charity. This is a great way to make a valuable contribution to the community while also saving money on your taxes. If you want to improve cash flow for your business so you’re in a better position to support more worthwhile causes, you should consider invoice factoring. This is a type of financing that lets you get paid for invoices immediately so you have more available cash. To learn more about invoice factoring and how Riviera Finance can help you grow your business, Contact Us Online today. ← Are You Waiting Until the 2018 Elections to Apply for a Business Loan?